Drawing on more than 25 years of experience, Stelian-Doru Ticsa dedicates his proficiency in the medical profession to TIMMES, Inc. TIMMES, Inc. is a health care company that specializes in teleradiology services, which began to solve the inefficiencies and time-lag in the transmission of data-intensive medical images by U.S. military personnel. 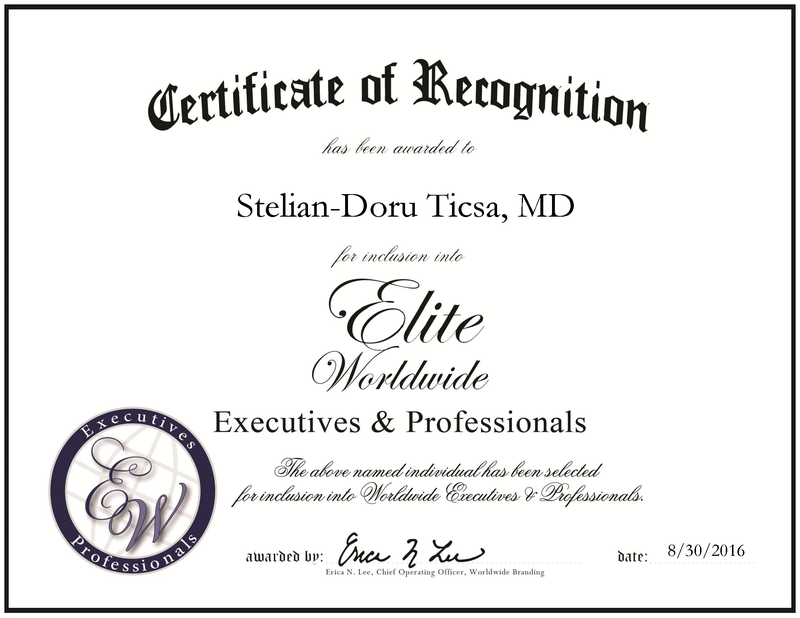 Dr. Ticsa joined the company nearly two decades ago and in his role enhances the successful performance and growth. In addition, he oversees the application of the software. Dr. Ticsa comes from a family that has 17 physicians and felt supported throughout his endeavors to go into the field. He decided to go into orthopedic surgery, traumatology, hand surgery and aesthetic surgery. He earned an MD in orthopedics and plastic surgery at the Iuliu Hațieganu University of Medicine and Pharmacy in Romania. Dr. Ticsa cites his success due to his commitment and continuity to honor the oath he took when he became a doctor.